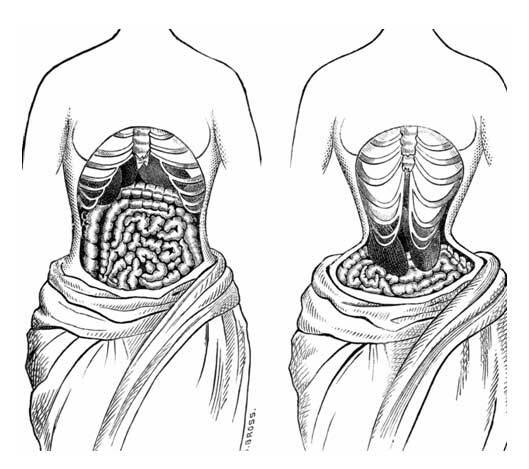 Blog - Can waist trainer give a permanent result? Can waist trainer give a permanent result? Here is a graph of our internal body intestine. 200 years ago, girls from a very young age start to train their internal body intestine staying at the position we’d like them to stay by wearing very tide corset bodysuits. It is a physical way to train the internal body intestine to stay at the position as the picture on the right, so the waist would look very slim from outside. Some of the Hollywood stars start training their body from year 13-15 which would leave a permanent result. So here is the question. If you are an adult, can the result still stay? If you select a right waist trainer and follow professional’s advise, yes it could be. 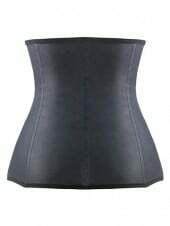 You need to start from maybe a shapewear without any bones and once you get use to it everyday, you can start to wear corset with steel bones once or twice a week. Never wear them to go to sleep. 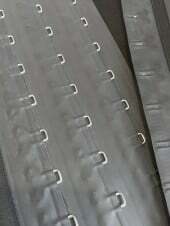 Then you start to repeatly wearing your corset more regular. 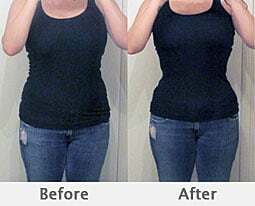 Not long after, you will find your waist is dramatically slimmer even without the corset.